With extensive communications equipment, a 12.1" screen and weighing in at around 2 kilos, the Esprimo Mobile U9210 targets travelling professionals. 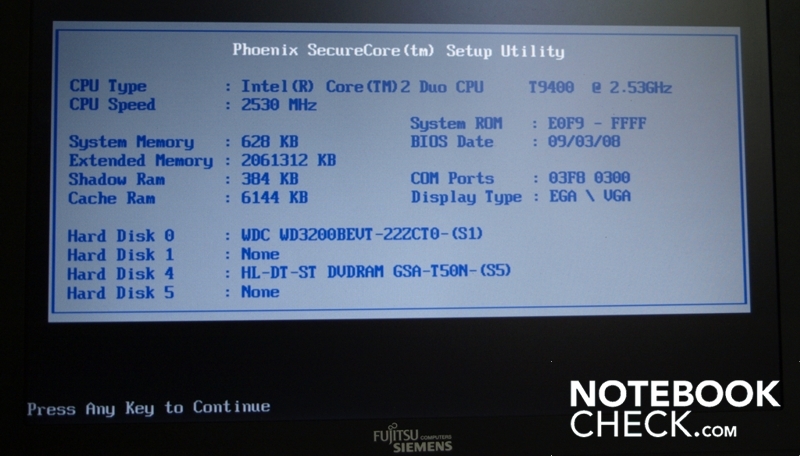 You can find out how far this laptop meets such a person's requirements in our test report. Currently Fujitsu Siemens offers three families of business laptops. The Esprimo Mobile laptops, the Lifebooks and the Celsius series. In contrast, Amilo laptops are targeted towards home-use. Inside the first two families of business laptop there are currently two models with 12.1" displays, the Esprimo Mobile U range and the Lifebook P range. The Esprimo Mobile U range from Fujitsu covers 12.1" models which, as Fujitsu Siemens reveals, are tailor-made especially for use as "ultra-mobile". Currently three models belong to the Esprimo Mobile U range, the U9200, the U9215 and finally the U9210 which we put to the test. The U9215 differentiates itself from the U9210 fundamentally through its inclusion of a fingerprint-reader. Otherwise both use current Centrino 2 technology. On the other hand the U9200 is still based on the Intel Centrino Duo processor technology. Fujitsu Siemens puts particular value on the uniform model concept of the Esprimo range. The individual models differentiate themselves essentially through size with a 12.1" display (Mobile U), 14.1" display (Mobile M) and a 15.4" display. So, for example, the mains adapters, port replicators and Ultrabay slots are homogenous in the Esprimo-Mobile range. 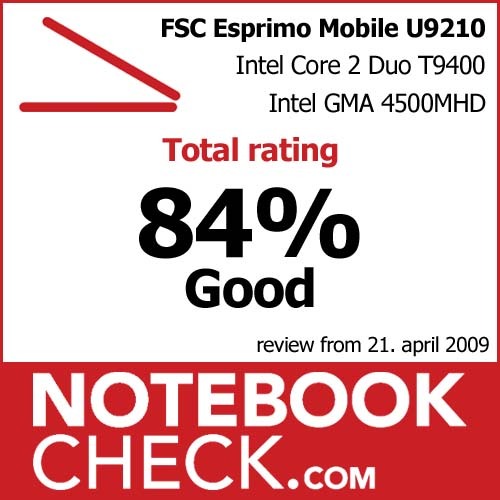 In March 2008 we put the Esprimo Mobile M9400 to the test, which, just like the U9200 model, still utilizes the Centrino Duo processor technology. This time the editorial staff got an Esprimo Mobile U9210 to test. With a 12.1-inch display (30.74 centimetres) and an average weight of around 1.8 Kilos the U9210 is perfectly suited to mobile conditions for the travelling customer, who will be happily accompanied on business trips by a 12.1-inch laptop with extensive communications equipment. Also the dimensions of the U9210 turn out accordingly with a breadth of 300mm, a depth of 229mm, and a height of 36.5mm. With this height, which remains basically unchanged along the whole depth of the system, it appears neither particularly thin nor is it a market-leader when it comes to slimness. On the contrary, compared with other competition of its class, it almost seems a bit bulky. The design and the appearance of this business all-rounder is entirely suited to the system's target consumer - simple and straightforward. A cleanly processed anthracite-black mix dominates the case without any kind of prominent colour accents. 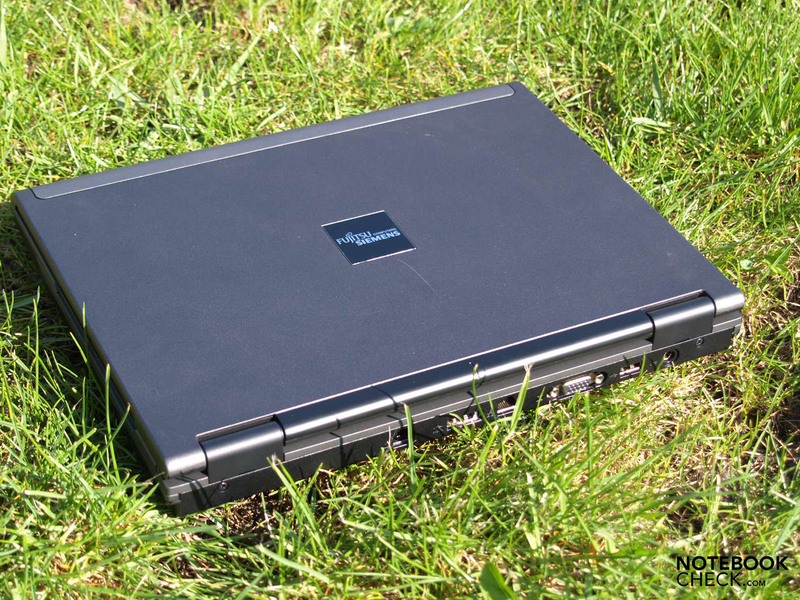 Nevertheless, the laptop doesn't just look elegant, it is also considerably good when it comes to case-stability. The display cover appears resistant to pushing and bending forces through its use of magnesium. In this regard the base unit also fares well. Handling the laptop is generally problem free at each corner and end. 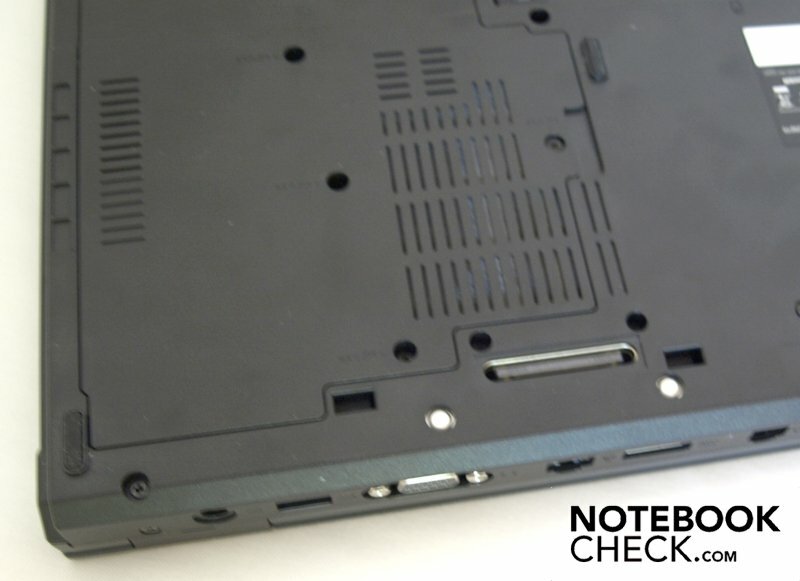 The only weak point is on the underside of the laptop, in the area around the Ultrabay slot. This clearly gives a little under a small amount of pressure. With regards to choice of materials and workmanship the Esprimo Mobile U9210 fares generally quite well. The materials used feel pleasant to the touch and of high quality, the accuracy of fit of the chassis elements is perfect. The battery happily sits in place without any wobbling in the case. However there is cause for criticism here. Both of the locks on the battery are situated on the right outer edge just in touching distance. 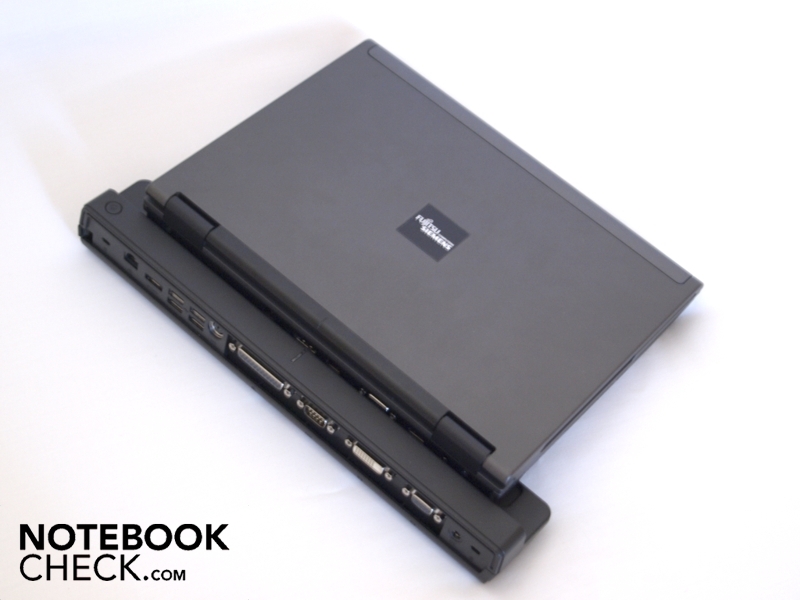 Therefore it's possible for the user to involuntarily remove the laptop's battery if they lift the laptop up twice. 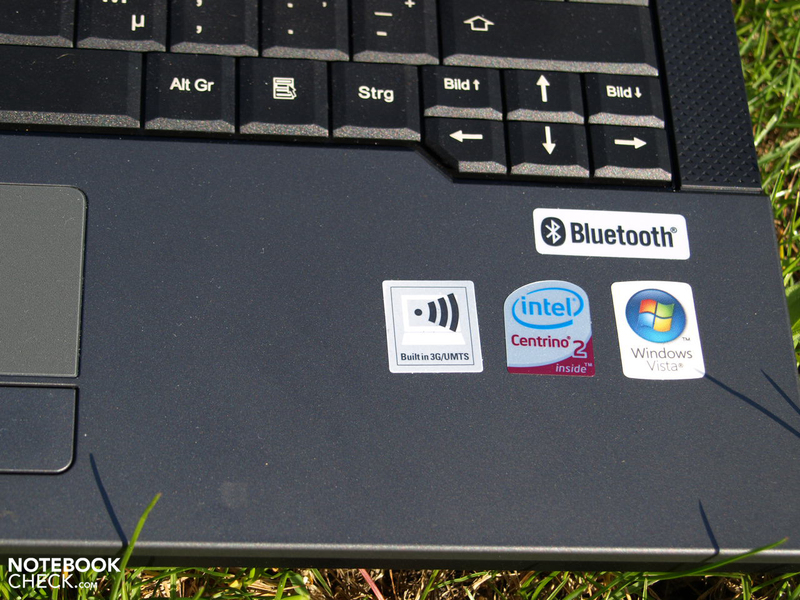 This mini-laptop offers no locking mechanism. The self-shutting of the relatively tight hinges works perfectly. 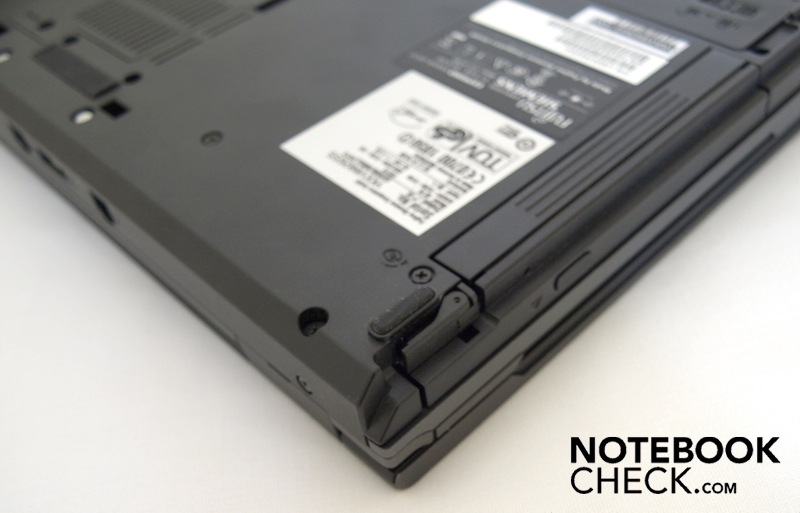 Nevertheless, the hinges let the lid open slightly when you turn the laptop downwards, holding the laptop by the base unit. When the display is folded or tilted, the hinges work smoothly and keep the flat panel in position at each angle. However there's a minimal see-sawing to be observed after adjusting the opening angle. In addition, Fujitsu Siemens has splashed out on solid-feeling plastic in the Esprimo Mobile U9210, as well as in the Esprimo Mobile M9400, instead of the rather standard thin LCD frame. Also this doesn't give under selective amounts of pressure. The upper area of the display's border offers a nowadays almost standard webcam (1.3 megapixel). 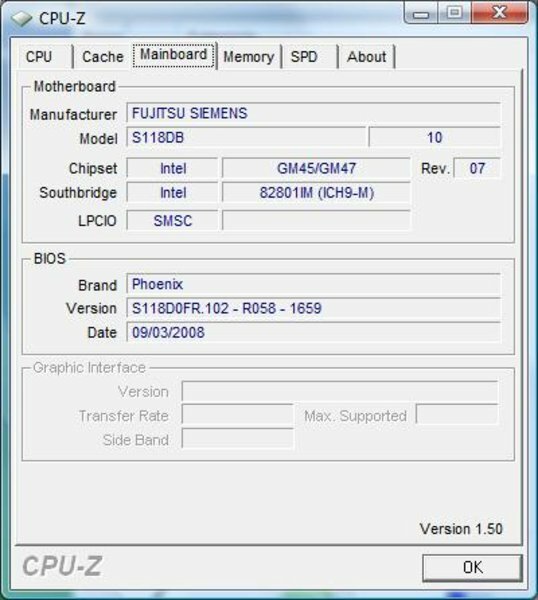 The status indicators for battery charge, wireless components, HDD activity and keyboard are situated above the keyboard in the form of an LCD display. It is somewhat low in contrast to be able to read the display whilst writing. 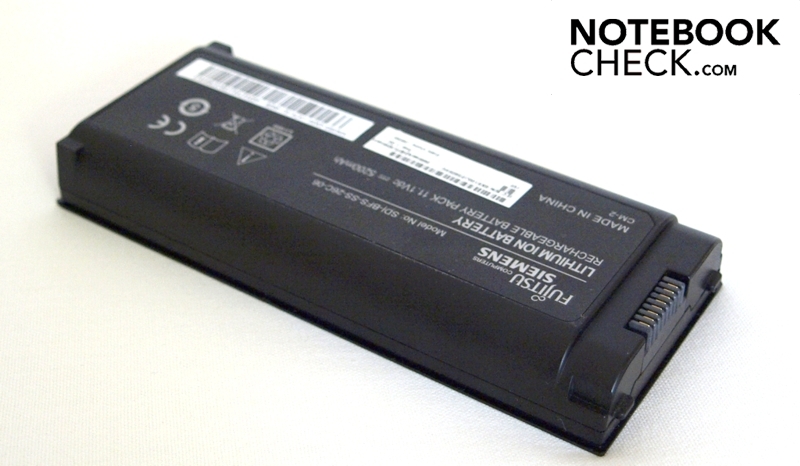 A further disadvantage of its position is that you cannot find out how charged the battery is with the laptop in a closed position. Next to this LCD display and somewhat centred is the power button, which is illuminated white when the laptop is on. 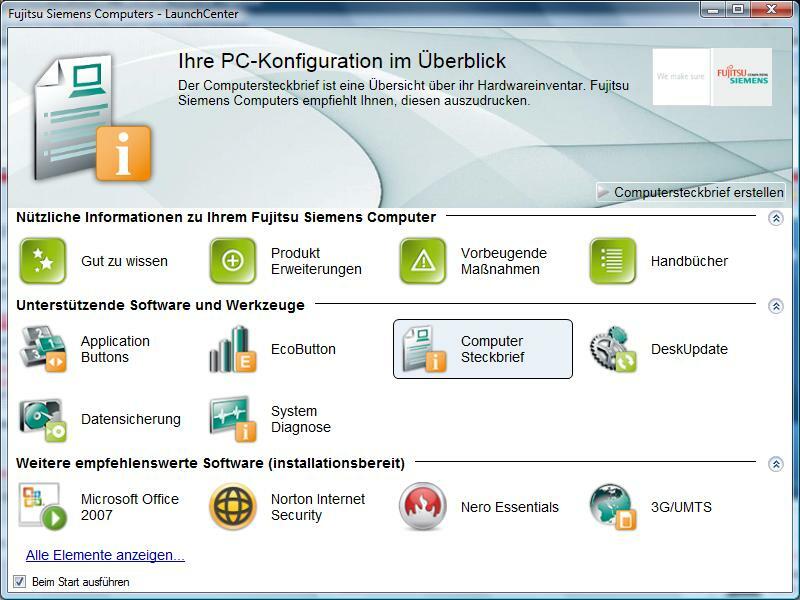 Also above the keyboard, somewhat to the right, is a row of user-definable quick-start keys, which by default corresponds to the tasks displayed by the keys: the security key locks the workstation, the mobility key starts the Windows Mobility Centre, the info key starts the Fujitsu Siemens LaunchCenter and the eco key puts the computer into energy-saving mode at the touch of a button. Finally, the wireless key can be used to control the wireless equipment when the main WiFi switch is on. The interfaces of the Esprimo Mobile U9210 are good considering the size of the laptop. Most of the interfaces are situated on the rear-side of the device, which is not like many other small laptops where the battery dominates the rear. The battery, as mentioned earlier, is situated on the underside on the front-right. Due to the arrangement of the fan-opening on the left-hand side, right-handed people clearly have the advantage, as left-handed people will permanently feel a warm draught in their working space to the left of the laptop. To go into detail, on the rear of the laptop there is the modem interface, a combi USB/e-SATA connection, Gigabit LAN, VGA and a further USB port out of a total of 3. The third USB port is found on the left front area immediately after the SmartCard slot. On the front there are two audio jacks for headphones and microphone, followed by a status LED for the power connector, the main switch for WiFi and a 5-in-1 cardreader, which supports SD, MMC, MS, MSPro and xD formats. In accordance with its determination to be an ultra-mobile laptop, the Esprimo Mobile U9210 makes no compromises when it comes to communications equipment. In our test, stable wireless WLAN connections were provided by the Intel Wireless WiFi Link 5300AGN. As an alternative you can also use the Atheros Minicard b/g 802.11 b/g, which doesn't support the n-standard by default. Bluetooth 2.1 is available for communication and data exchange with other devices, for example mobile phones. The Gigabit-LAN port offers the quickest wired data transfer in appropriately configured networks. The obligatory modem interface isn't lacking. Also for fast internet connections via UMTS/HSDPA the Esprimo Mobile M9400 is also well equipped. 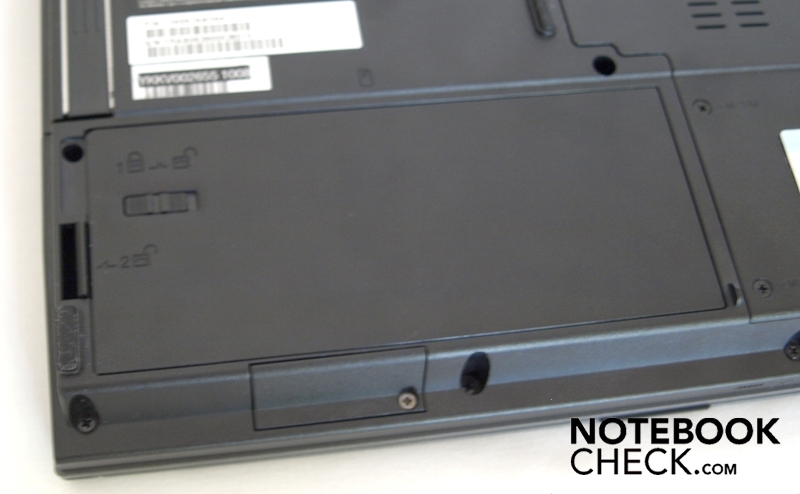 On the underside of the laptop in the area of the battery there's the SIM-card slot. Overall, you should be able to connect to the internet from virtually anywhere with an appropriate contract with a service provider or using one of the given infrastructures. Within the shipment of the U9210 you'll find many accessories. This ranges from recovery DVDs for Windows Vista and Windows XP to drivers and utility CDs, some practical software, a port replicator, a modem cable, a mini-mouse, and additional devices for the Ultrabay slot. Nero 8.0 Essential is included in the supplied software for burning CDs, and there's also a trial version of Microsoft Office and Smartcase Logon+ V2.2. 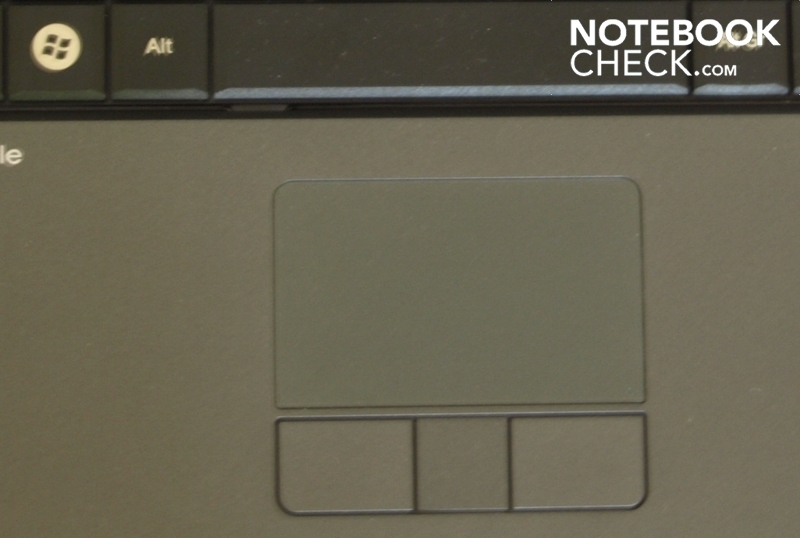 Supplied with the test device and for use with the Ultrabay slot were the following optional modules: a dummy tray, a second battery and an Expresscard reader. The optional port replicator does away with the annoying plugging in and unplugging of different cables, whilst making additional connections like DVI and PS/2 available. After connecting the port replicator the laptop takes on a slightly tilted angle, which leads to an ergonomic typing position. 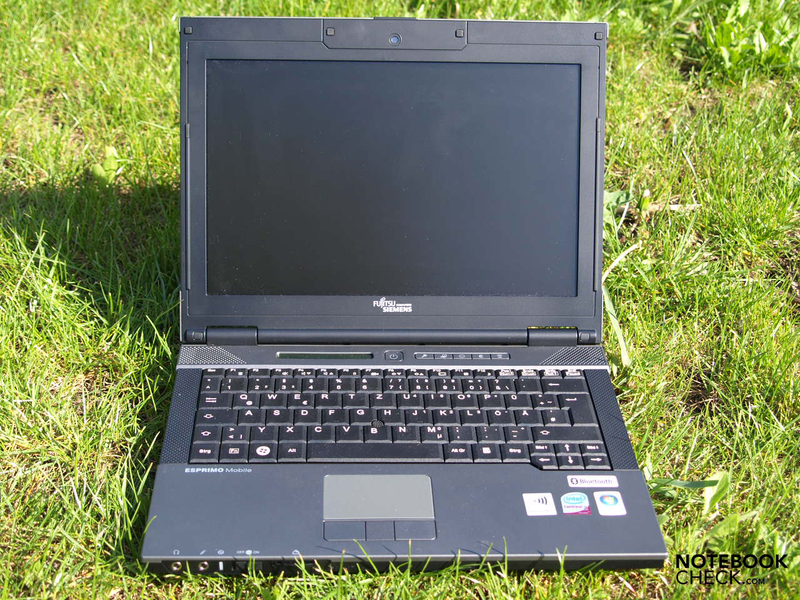 When it comes to the additional security equipment which is by now standard for business-class laptops, the Esprimo Mobile U9210 is left behind by the more expensive Lifebooks. It has no fingerprint reader or TPM security chip (Trusted Platform Module) by default. At least the U9215, however, provides a fingerprint reader. A printed manual isn't to be found in the U9210 box, however there is warranty information and safety instructions. The Esprimo Mobile U9210 is, according to Fujitsu-Siemens-Computers, safe from accidental spillages of liquids through its splash-proof keyboard. The 86 keys of the U9210 of around 17mm breadth and 15mm depth sit tight on the frame and give a pleasant typing feel. 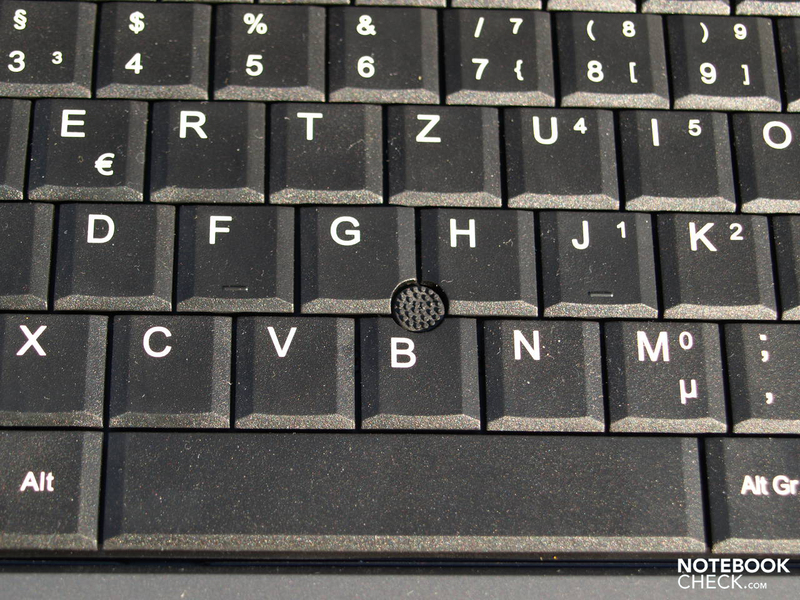 The keystroke is quite short at 2.7mm and the keys work comparatively silently. 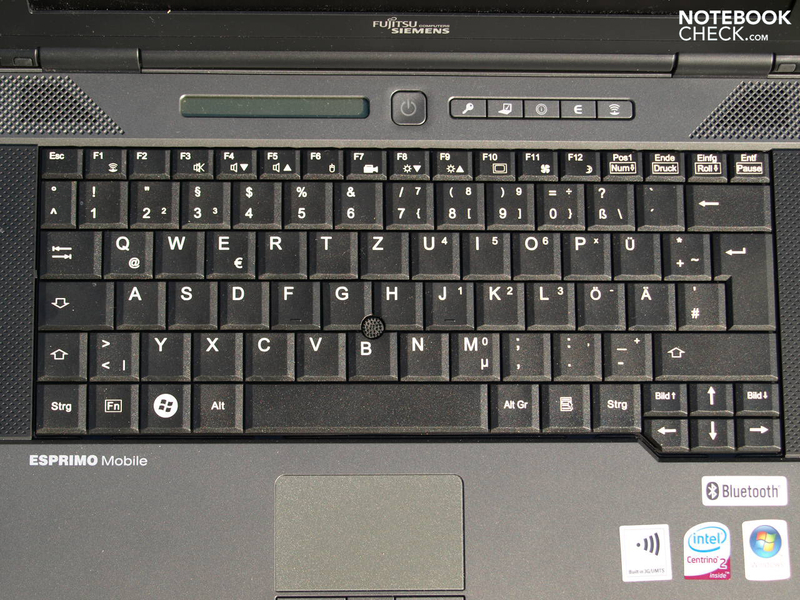 Thanks to the classic keyboard layout of the U9210 you can easily make the transition to this keyboard. Mechanically speaking the keyboard surface seems very stable and can only slightly be flexed. At a breadth of 64mm and a depth of 39mm the touchpad of the Esprimo Mobile U9210 is sufficiently large for a laptop of this size. Additionally it is very pleasant to touch and mechanically very precise. The slightly rough surface of the touchpad is very good in terms of friction and traction. Also using the command Fn and F6 this mouse can be deactivated. Somewhat annoying is the over-sensitive "Tap to Click". This is activated partly if you keep your thumb just over the touchpad surface whilst typing. Unfortunately this function cannot be deactivated due to the pre-installed drivers. In addition, there is no scroll-function. The two large rectangular touchpad keys are slightly rounded off and are clicked with a very subtle sound and have a pleasant feel. The keys have a practically perfect fit and give an impression of high quality. Only the divide between the left and right touchpad buttons, which is often accidentally caught, is not ideal. Optionally a trackpoint is available. With its help you can precisely steer the mouse. Clicking by a tap of its cap is, however, not supported. Therefore you have to reach back to the touchpad buttons in order to click. As a true business-pro the Esprimo Mobile U9210 naturally has a flat matte display. Ergonomically speaking it's pleasing that the 12.1-inch LCD (Samsung LTN121W1-L03) rarely reflects and is therefore suitable for jobs where the user is permanently in front of a display. 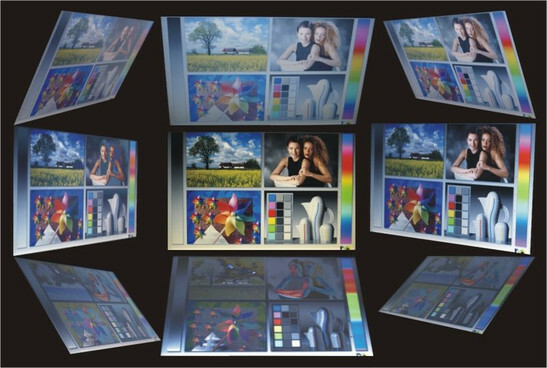 The native resolution of the WXGA panel is standard for its class at 1280 x 800 pixels. The 16:10 widescreen LCD reaches an average luminance of 172.5 cd/m² in our luminance tests when plugged into the mains. For comfortable work out in the open the display could by all means be brighter. With a measured minimum brightness (black values) of 1.05 cd/m² and a maximum brightness of 191.3 cd/m² in the central segment of the screen the contrast whilst the device is plugged in is around 182:1. As for brightness distribution the Esprimo Mobile U9210 reaches 79 percent which is still a reasonable value. The deviance of the luminance on mains power is within the brightest measured segment (middle upper segment) at 191.4 cd/m² and the darkest screen segment (middle left corner) at 152.4 cd/m², resulting in around 20 percent. Generally you can notice a fall in brightness at the sides and down below. Looking at it subjectively, on the display of our Esprimo Mobile U9210 you can see hardly any to a little shadowing when displaying different dark backgrounds, depending on viewing angle. Also, looking at the available viewing angles the horizontal angles fare very well, vertically, the optimal tilted viewing angle is significantly lower. Subjectively, the colours aren't spectacular, instead they are slightly blue tinted. The Esprimo Mobile U9210 is based on the Centrino 2 platform. 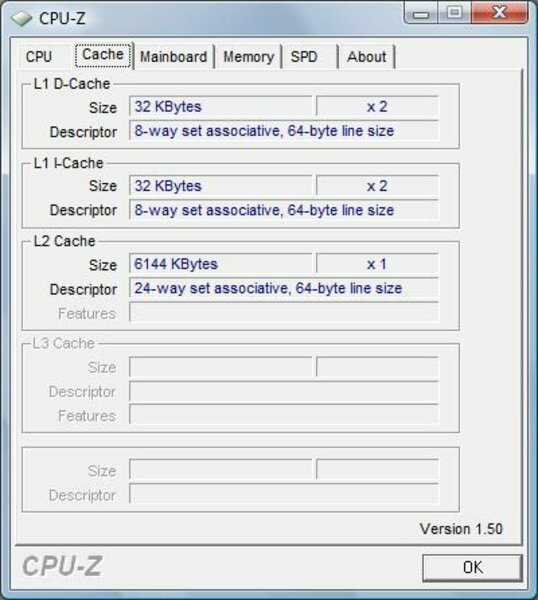 You can choose between the current Core 2 Duo CPUs and at the bottom of the performance spectrum, an Intel Celeron 585 CPU. As well as Core 2 Duo Pxxx processors, which have a lower power dissipation of 25W, there are also Core 2 Duo Txxx CPUs, which feature a somewhat higher Thermal Design Power (TDP) of 35W. 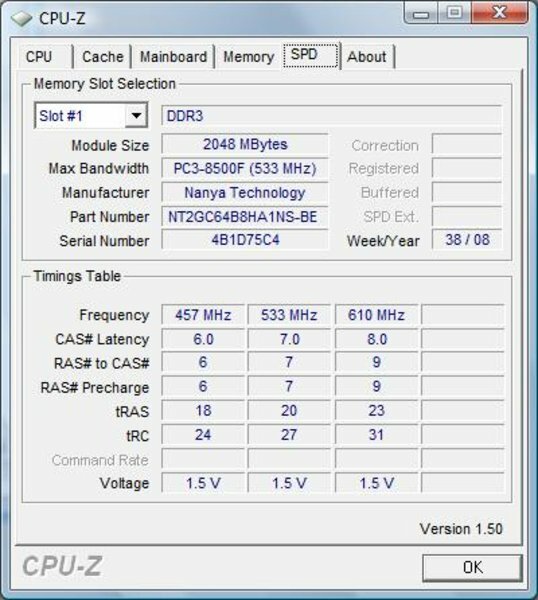 With regards to overall performance on the tested Esprimo Mobile U9210 thanks to the Intel Core 2 Duo T9400 with a clock speed of 2.53 GHz per core and a fast DDR3-1066 memory module (PC3-8500F) with a capacity of 2048 MByte for Windows Vista Business, the pre-installed OS, there's not really much to criticize. According to the manufacturer the system supports up to 8GB of RAM with relevant memory modules. For standard office work and office applications the Esprimo offers enough oomph in any case. The business-laptop reached 5060 points in the PCMark05 test, which is a relatively high performance value. 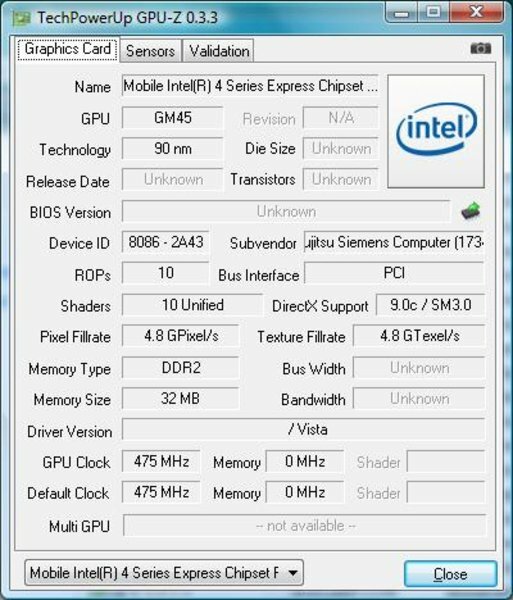 The integrated graphics chipset, an Intel GMA 4500 MHD, is also oriented towards this spectrum of applications. 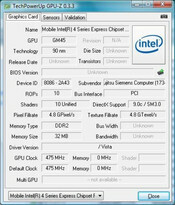 The Esprimo Mobile U9210 is equipped with an integrated graphics solution, the Intel GMA 4500MHD. For standard office work the user surely has enough graphic power on board. However, for the Aero-Glass appearance of Windows Vista the performance of the 4500MHD isn't quite so strong. 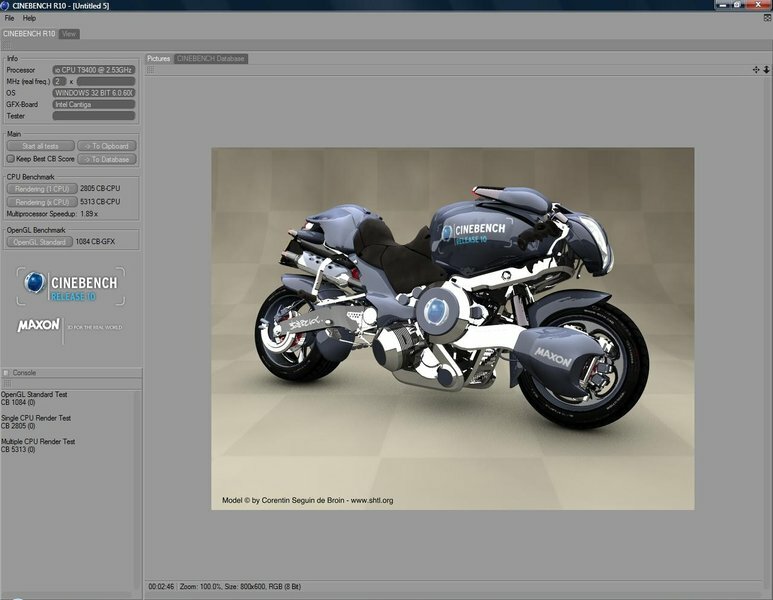 For games and for 3D-intensive applications there are possibly better graphics solutions. 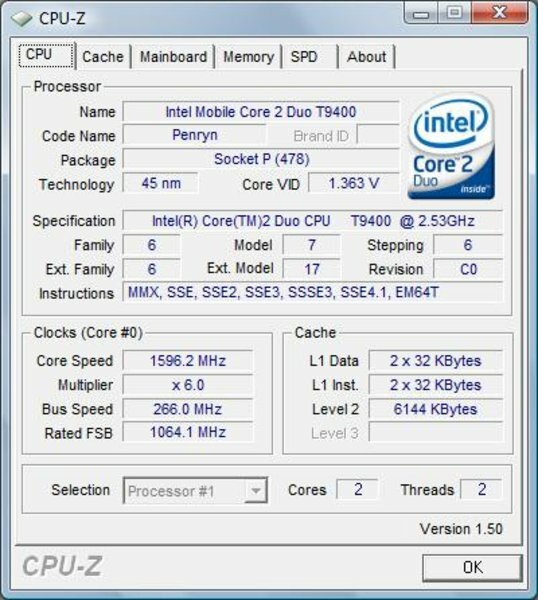 With that the Esprimo Mobile U9210 with Intel drivers Version 7.15.10.1527 reached a score of 940 points in the 3DMark06 benchmark test. Also in the shading test from Maxon's Cinebench R10 the 4500MHD climbs no mountains with a CB-GFX result of 1084. The 3DMarkVantage test doesn't run without errors on this system with an external monitor (with a resolution of 1280x1024 pixels) and therefore brings no results. As for storage on the Esprimo Mobile U9210 there are several options. You can choose from 320 or 160 gigabyte 5400 rpm SATA hard drives or a 160 gigabyte 7200 rpm SATA hard drive as well as a 160 GB, 5400 rpm FDE-3 hard drive. 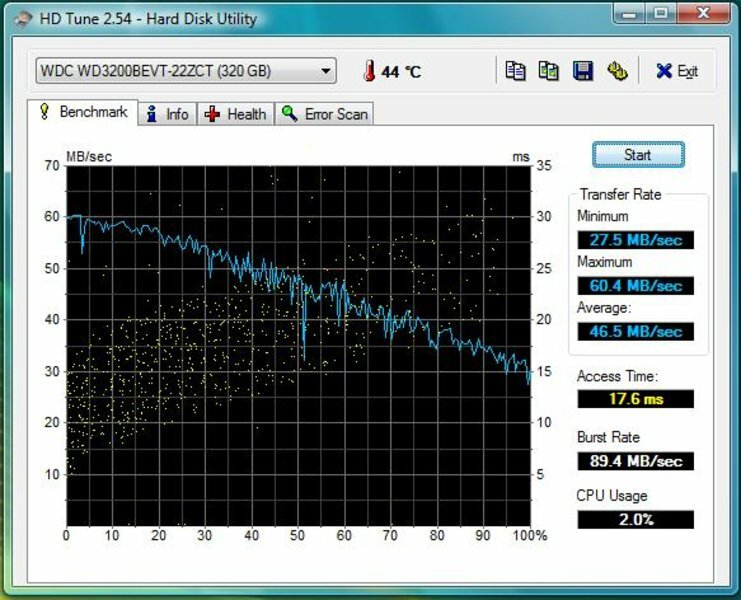 Our test device was equipped with a 320 Gigabyte Serial-ATA hard drive of the Scorpio Blue WD3200BEVT variety from Western Digital (WD). In the hard drive test HD Tune this 5400 rpm hard drive provides an average data transfer rate of 46.5 MB/s. 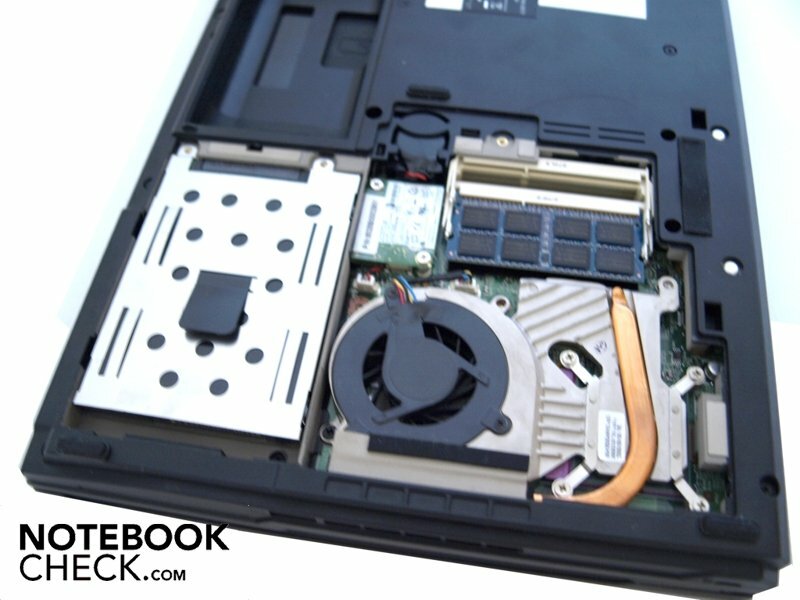 Each hard drive is equipped with a shock sensor, which should protect the hard drive from shock-related damage. As additional storage our U9210 comes with an optical drive as standard in the Ultrabay slot, which is a HL-DT-ST DVDRAM GSA-T50N from LG. For professional data protection the GSA-T50N also supports the important DVD-RAM format. From the results of the noise tests this Esprimo Mobile U9210 in idle mode is quieter than expected with an average of 32.7 dB(A). The hard drive is as a result barely audible. However, the fans work in intervals and as a result the on and off of the fans is cause for criticism even under low load. The noise is characterised by a low-frequency swooshing, which waters down the somewhat annoying timing of the fans. Under load the laptop is relatively loud with a maximal value of 44.6 dB(A). However, as a business device the Esprimo Mobile U9210 is hardly likely to be put under permanent full load. Despite the somewhat cramped space due to the 12-inch form factor, the temperatures remain on the whole within limits. The underside and top surface warm up in more or less equal measure. The left rear area warms up somewhat more than the other areas. On the left edge there's also the opening for the fans and from the underside this is where the system components are accessible. A maximum of 40.2° Celsius on the top surface and 41.9° Celsius on the underside is somewhat warm for use on the lap. All in all, the average temperatures of 34.2° Celsius for the top surface and 34.9° Celsius on the underside remain rather lukewarm. (±) The maximum temperature on the upper side is 40.2 °C / 104 F, compared to the average of 35.8 °C / 96 F, ranging from 22 to 57 °C for the class Subnotebook. High-quality-sounding loudspeakers are certainly less important for a pure business laptop than for a true multimedia laptop. In addition, you will want to be able to travel whilst watching your favourite film or listening to some music using the headphones, without wanting to disturb other passengers. The analogue headphone output sounds great with a pair of good headphones. The inbuilt loudspeakers are situated on the left and right above the keyboard. They are somewhat low in bass. However the maximum volume is OK and the sound remains undistorted, if somewhat damp. For undemanding use with DVDs the included loudspeakers are in any case sufficient. 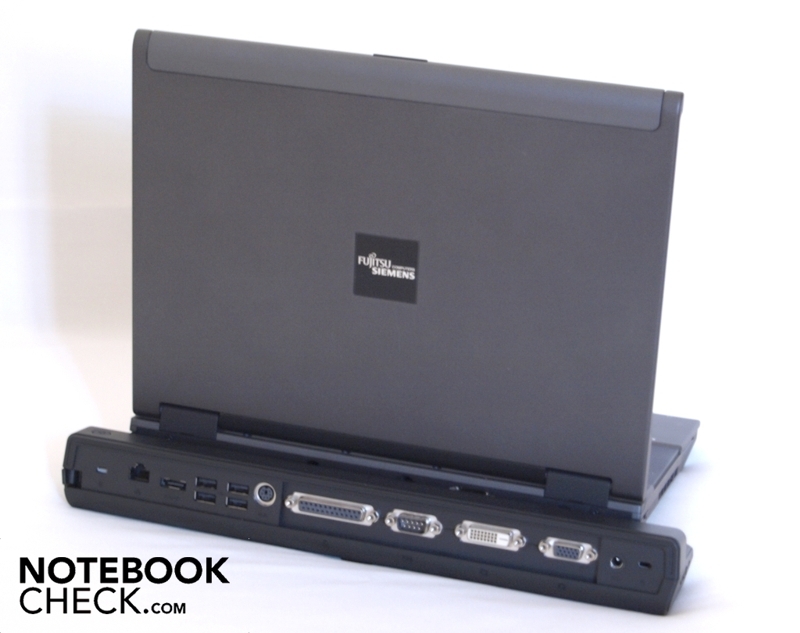 Equipped with a 6-cell Lithium-Ion battery rated at 56Wh this 12.1-inch laptop facilitates mobile use with a strong battery life of up to 282 minutes (4 hours 41 minutes). 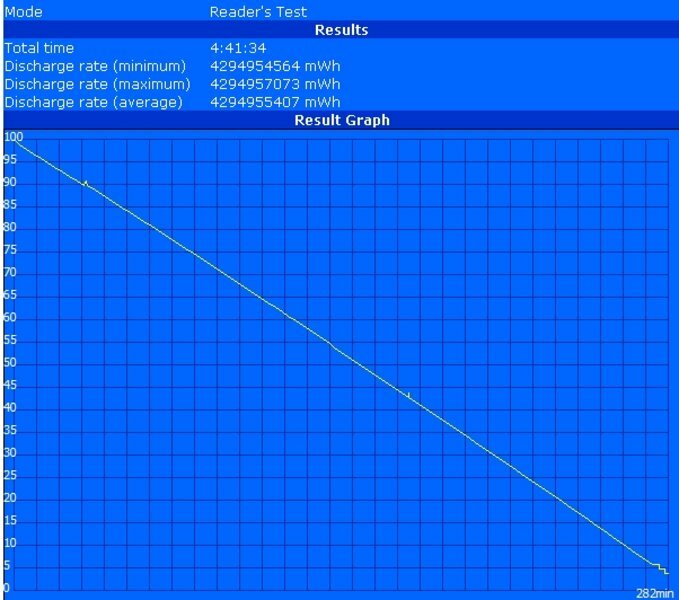 This was achieved with help from the BatteryEater Reader's tool with activated power-saving measures and a dimmed screen. However it doesn't quite reach the manufacturer's claim of up to 6 hours, which might be possible with other configurations. 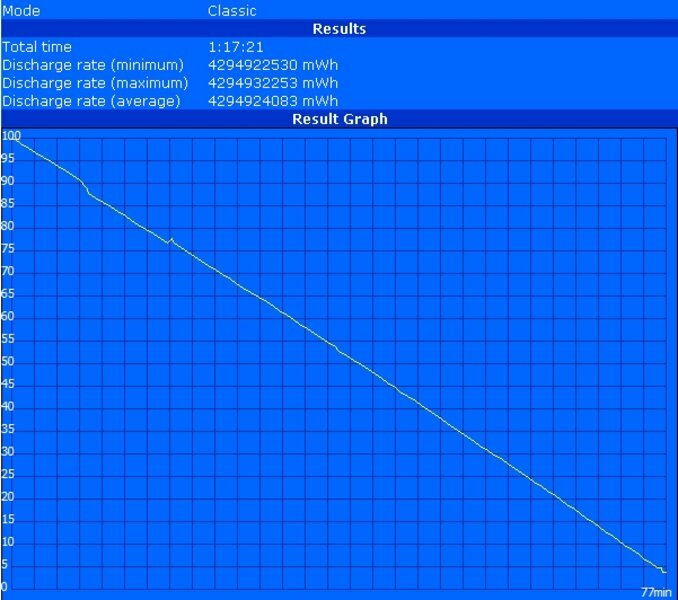 In the Battery Eater Classic test, which simulates full load, with high-performance settings, WLAN on and maximum brightness, the laptop has to be re-charged even after 77 minutes (1 hour 17 minutes). 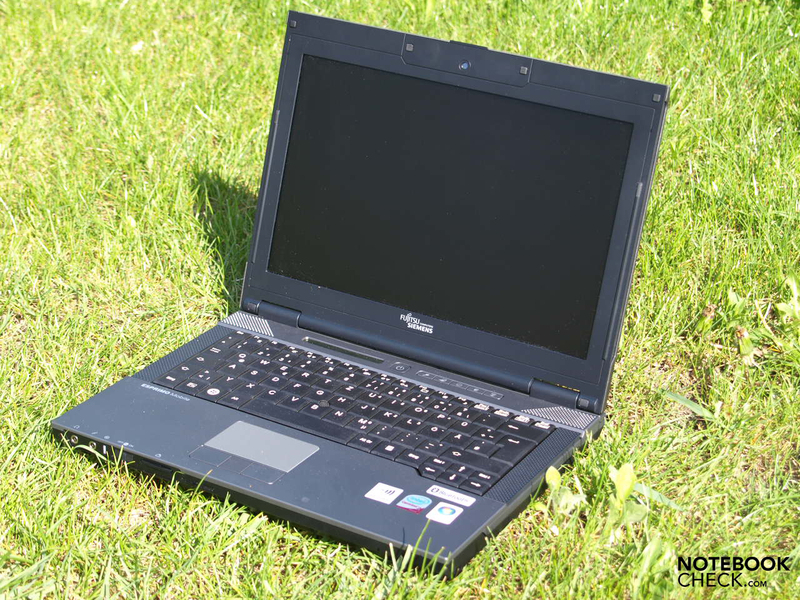 In any case the laptop can achieve an average Hollywood film with a battery life of 148 minutes (2 hours 28 minutes) for DVD playback with maximum brightness and high-performance settings. In a practical WLAN test (energy-saving profile, medium brightness) 236 minutes (3 hours 56 minutes) of internet surfing was possible. 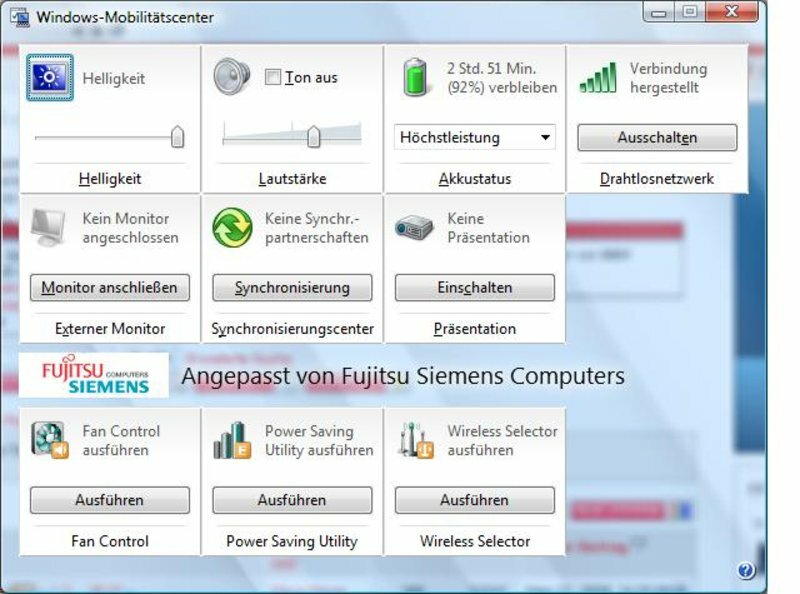 Should the battery life of the standard battery not suffice for your purposes, Fujitsu Siemens Computers also offers an optional 6-cell, 3800 mAh, 42 Wh additional battery for the Esprimo U9210, which is put in the Ultrabay slot in place of the optical drive. With that the producer's claimed configuration-dependant maximum battery life is extended to 10 hours of working away from a power supply. The Esprimo Mobile U9210 in review scored points with a solid case and a good choice of materials as well as good workmanship. Also the input devices convince and give a good overall impression. When it comes to communications equipment the Esprimo Mobile U9210 has everything on board with Bluetooth, Gigabit-LAN, Wireless-LAN and UMTS/HSDPA. Thanks to supplied recovery media (Windows XP and Vista) the U9210 is not lacking in accessories. Above all, mobile business clients will use the possibility of the port replicators to the full, saving the annoying plugging in and unplugging of different cables in the office. The user has to come to terms with certain weaknesses outdoors. 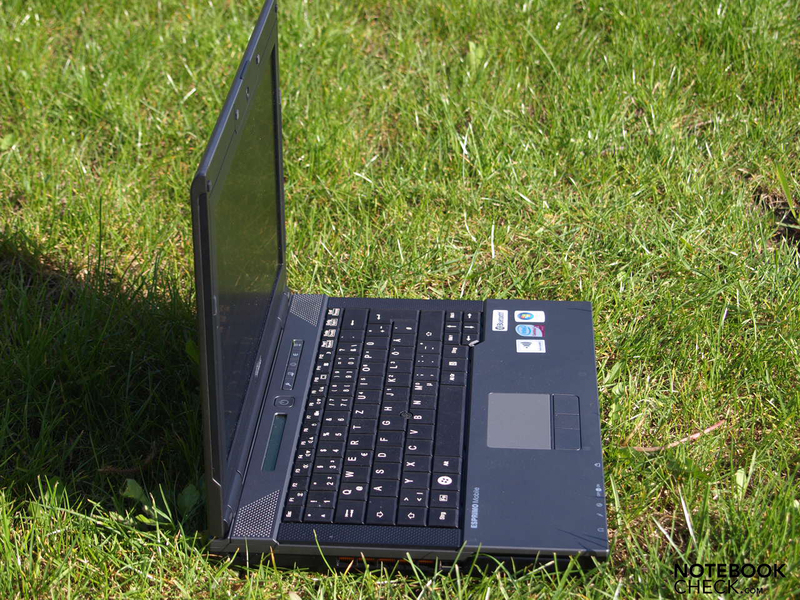 Despite a matte display, a little more brightness would go a long way for use outdoors, especially in direct sunlight. Similarly, the user has to do without what would normally be standard of a business-class laptop, a fingerprint reader and a TPM-security chip. 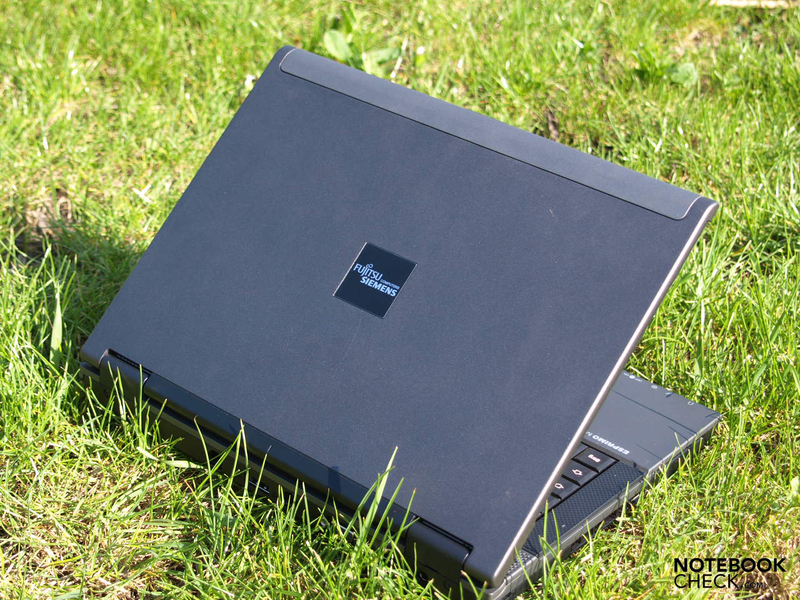 Business and private customers alike that are looking for a compact, light (around 1.8 kilo) and solidly finished business laptop in 12.1-inch form for day to day office and mobile use (for example on business trips) will certainly find a worthy model in the Esprimo Mobile U9210 from Fujitsu Siemens. ... the Esprimo Mobile U9210 also has an integrated webcam and two in-built microphones which allow for problem-free video-conferences. ... and optionally, as in our test device, through the supplied port replicator the range of connections can be extended and consequently the U9210 can easily be integrated into an existing office environment. The standard battery doesn't last long enough in order to provide for a complete working day away from the power supply. The situation, however, can be improved using an additional battery in the Ultrabay slot. 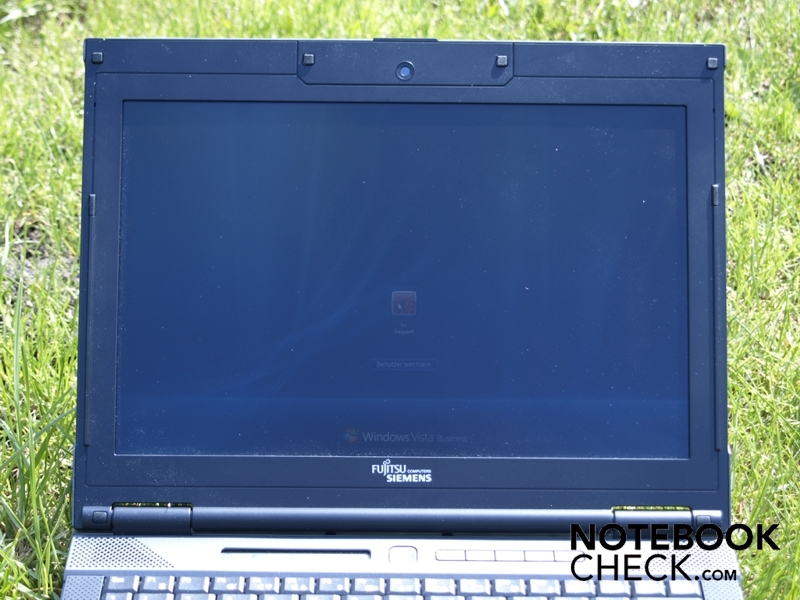 Also a greater brightness of the matte display is desirable to further improve the mobility of the laptop. Much praise goes to maintainability. After removing a few screws the core components are easily accessible from the underside. 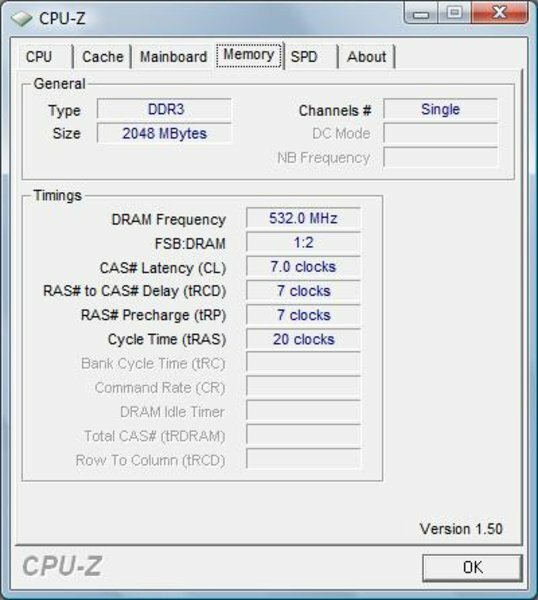 Also a RAM upgrade is possible without removing a memory module. 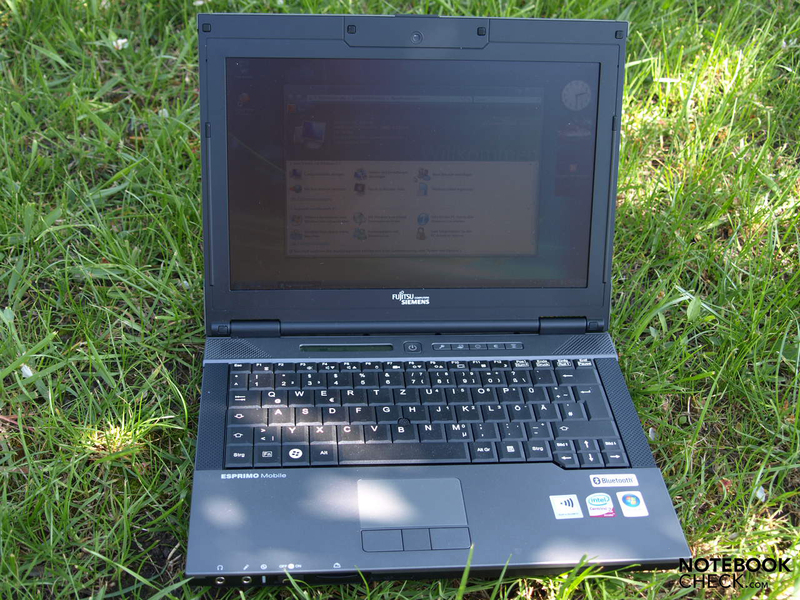 Intel Core 2 Duo T9400 CPU, 2 Gigabyte DDR3 RAM and Intel GMA 4500 MHD chipset graphics provide good office performance. but also the trackpoint, which both allow precise control over the mouse. ... with good workmanship and stability. The only weak point is situated on the Ultrabay slot. The LCD panel status-indicator is somewhat low in contrast. Through the quick-start keys ..
... or the Windows Mobility Center. Also the input devices are comfortable. The splash-proof keyboard offers extreme comfort and a standard layout, in order to be able to type up large amounts of text problem-free. Additionally the 320 GB hard drive from Western Digital with a shock sensor provides lots of space for your sensitive data. - The unlocking position of the battery is on the outer edge. The excellent, solid workmanship and the extensive communications equipment. Additional security features like a fingerprint reader and a TPM chip would be preferential. The range of accessories, which ranges from recovery media and software to further modules for the Ultrabay slot and a port replicator. Similar devices already tested by us with a 12.1-inch display and similar graphics cards are the Portege A600 or the Portege R500.